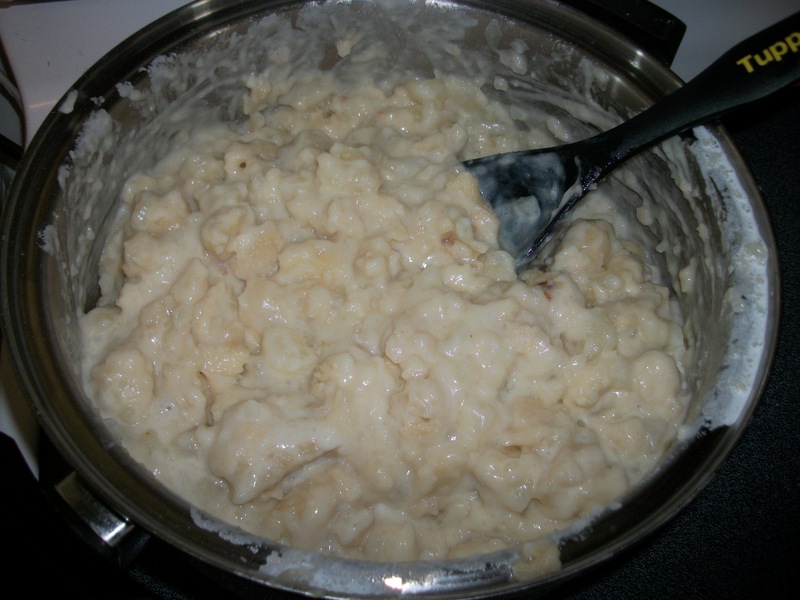 I thought I’d kick off this winter-storm weekend with a nice tasty, warm traditional meal. 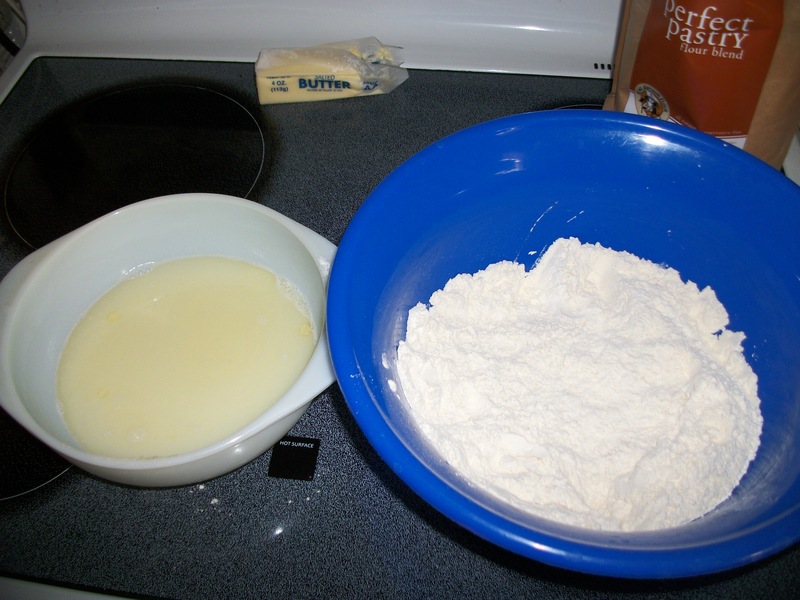 Mix flour, salt, egg and water, until dough ball forms. Cut dough into a kettle of boiling water (I use a kitchen scissors). 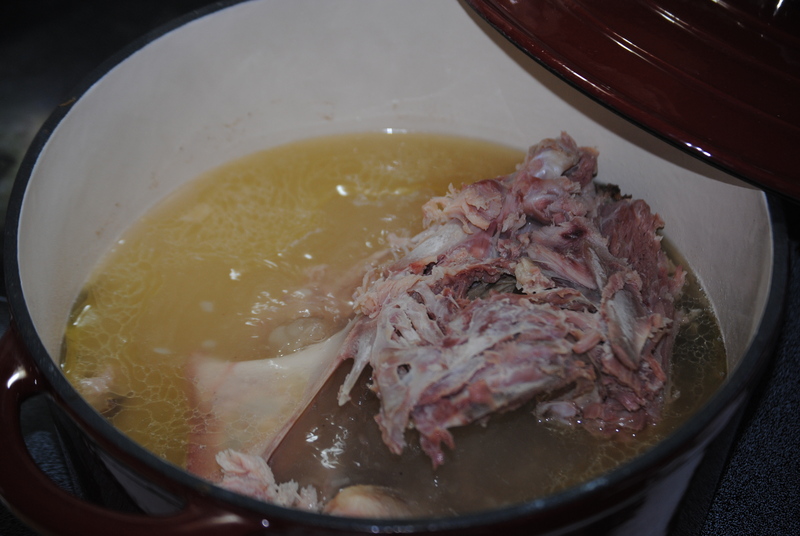 Boil until done (they will float), about 5-10 minutes. Rinse under cold water. Prepare meat in a skillet (fry the sausage, heat the ham, brown the burger, etc.). 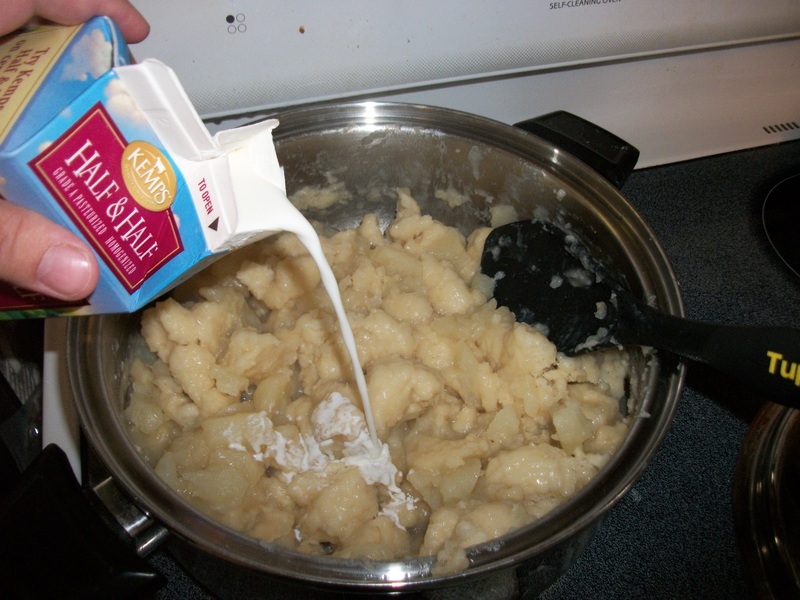 Combine 1/2 pint of cream, 1 tsp. chicken bouillon and pepper in a small bowl. Add knepfla to meat and pour cream mixture over the top. Heat through. It’s yummy, it’s great and it doesn’t take a lot of time. I’ve joined a party…and am creating history all at once! 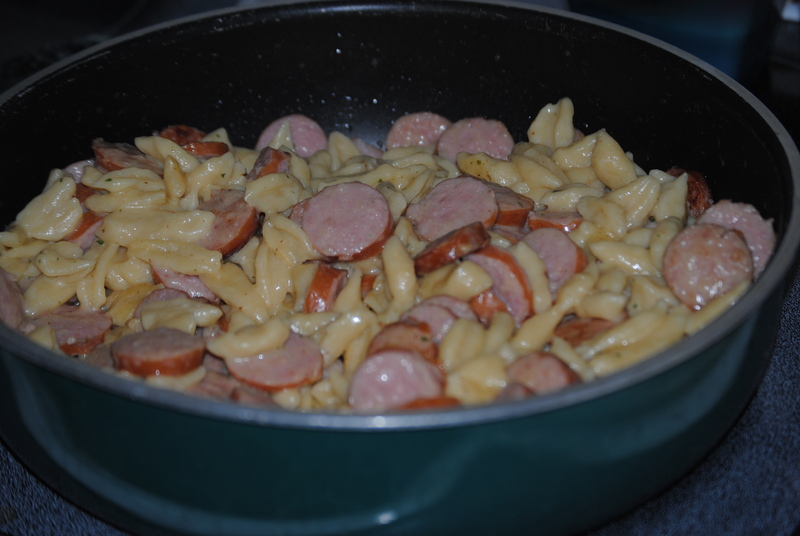 This recipe isn’t something you just “throw” together for a quick lunch, but it’s a wonderfully delicious authentically German dish that is requested time and time again at my house. Especially at family gatherings!!! First of all, you need bread dough…and this is where the King Arthur flour comes in. 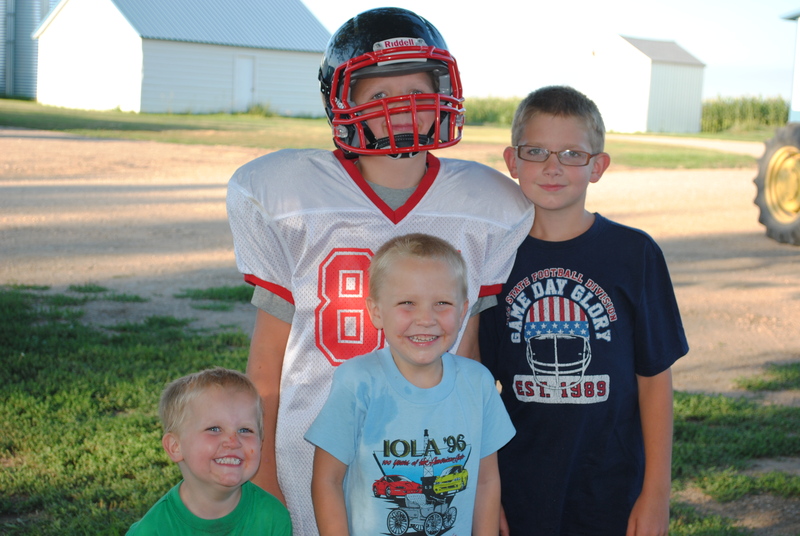 For those that have been reading my blog for a while, you know that our youngest son has OTC, which limits his protein intake to 10-12 grams per day. 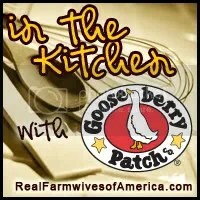 Well, it just so happens that King Arthur flour has a product that is lower in protein! Woohoo!!! And I used this flour for our bread dough (although it’s labeled for wonderfully, delicious and super light pastries, pies, etc.). It worked beautifully! First, we need a simple loaf of white bread dough. This is a simple, easy loaf recipe…and trust me, if I can make it, anyone can! 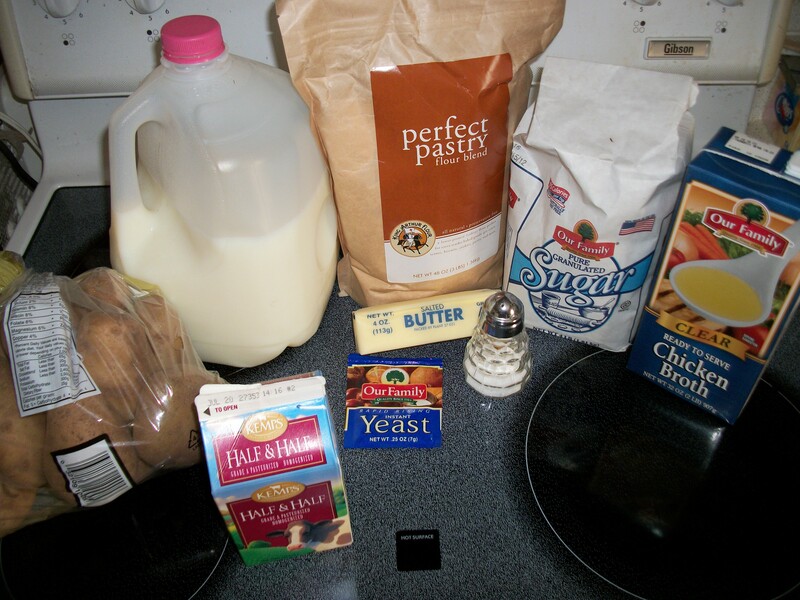 When making this dough, mix together dry ingredients, then mix and heat wet ingredients before combining. 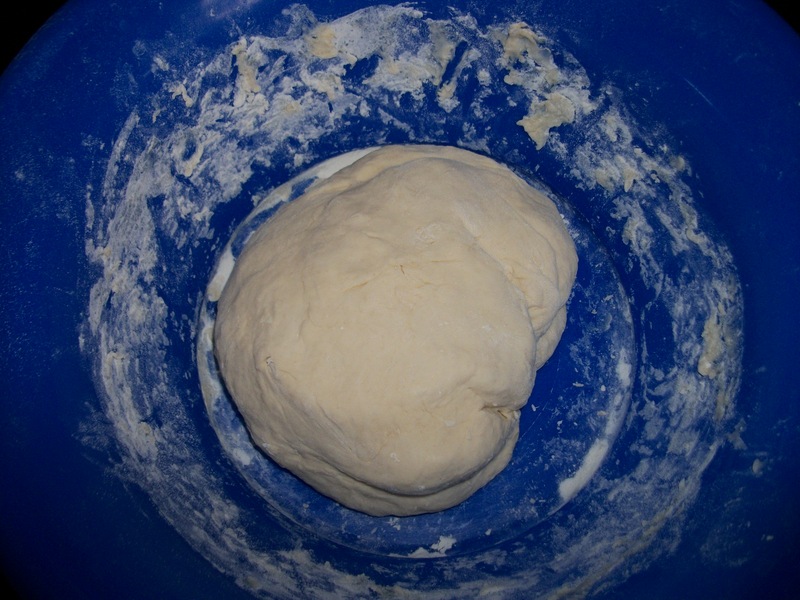 Dough - finished but not raised. Cover the dough with a cloth for 10 minutes, to let it rest. Then shape into a ball again and let it raise for 1 hour. Now, we’re ready to make dumplings! Peel and cut your potatoes, enough to fill the bottom of your kettle (4 or 5 quart kettle or dutch oven works wonderfully!). Enough potatoes to fill the bottom of a kettle, or maybe even a little more! 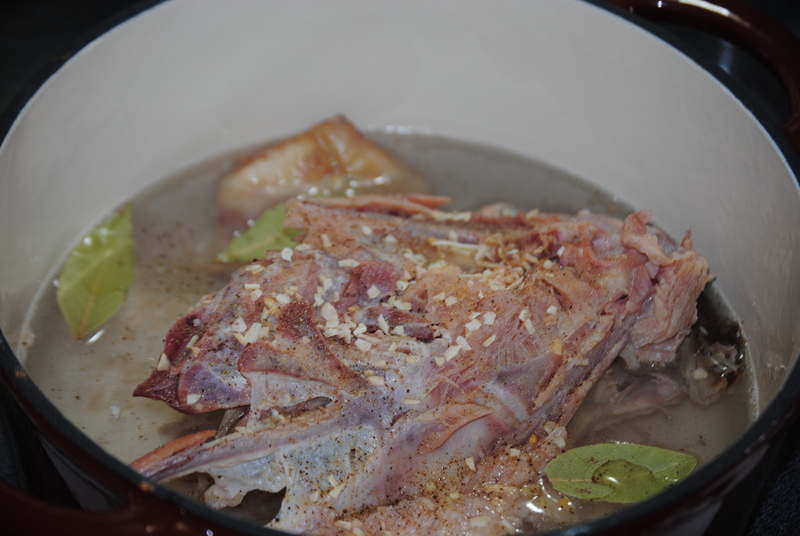 Add the chicken broth. 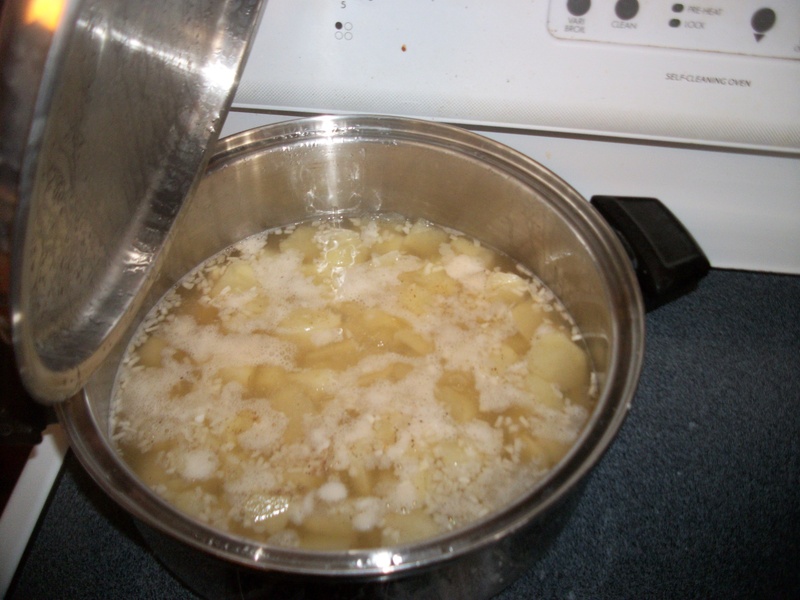 (I use chicken broth instead of water to boil my potatoes. It adds great flavor!) You can flavor your potatoes if you’d like, with salt, pepper, onions, etc. Whatever you would normally do for boiling potatoes. You won’t be draining any of the liquid. 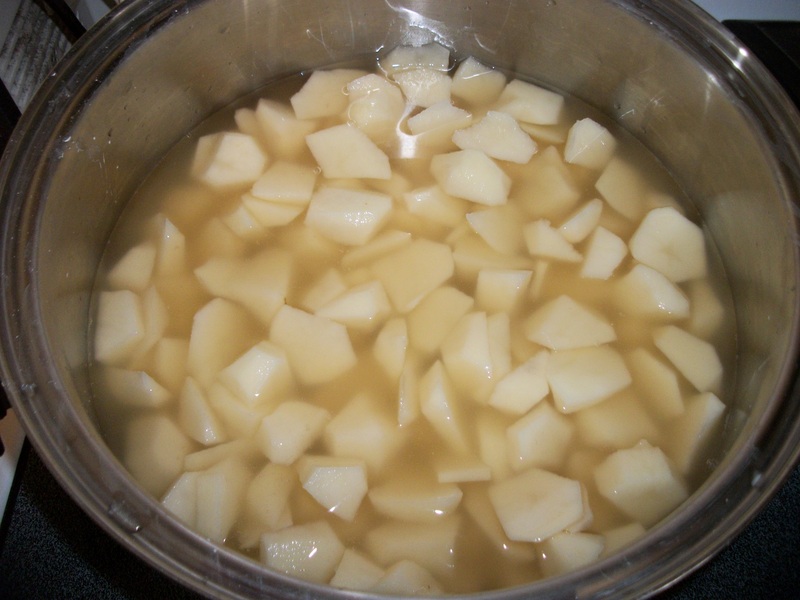 I use chicken broth instead of water with my potatoes. Yummy! Heat the potatoes to a boil. Remove the kettle from heat. Punch down the dough. 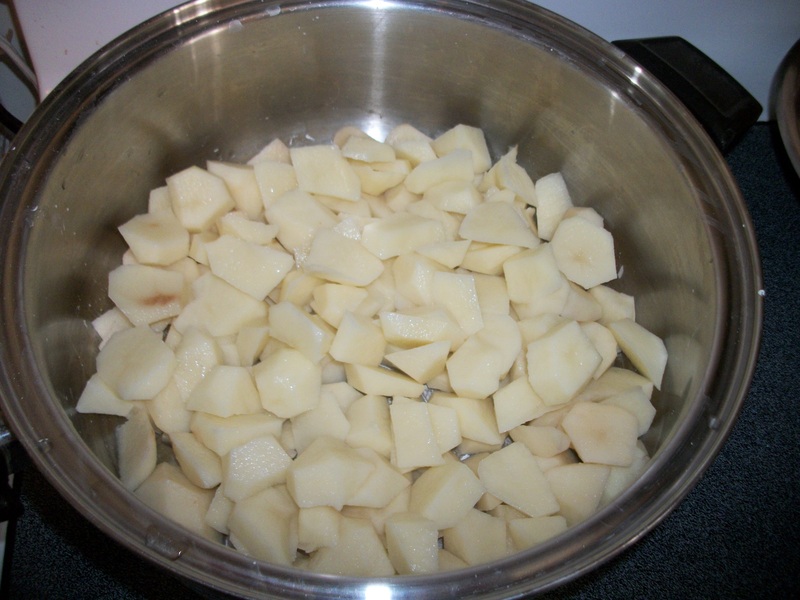 Tear off about quarter-sized bits of dough and layer across the kettle, on top of the water and potatoes. Pull apart the dough, enough to fill one layer across the potatoes in the kettle. 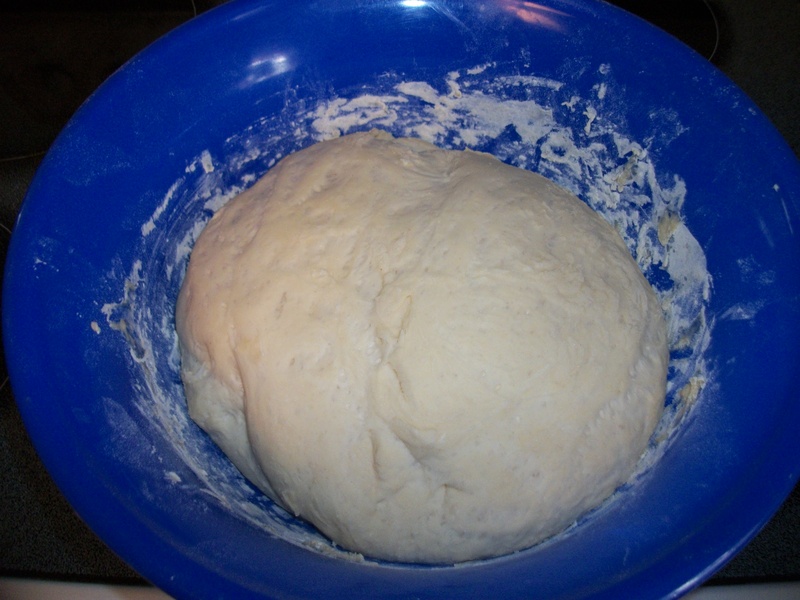 Dough, completely covering potatoes and ready to cook! 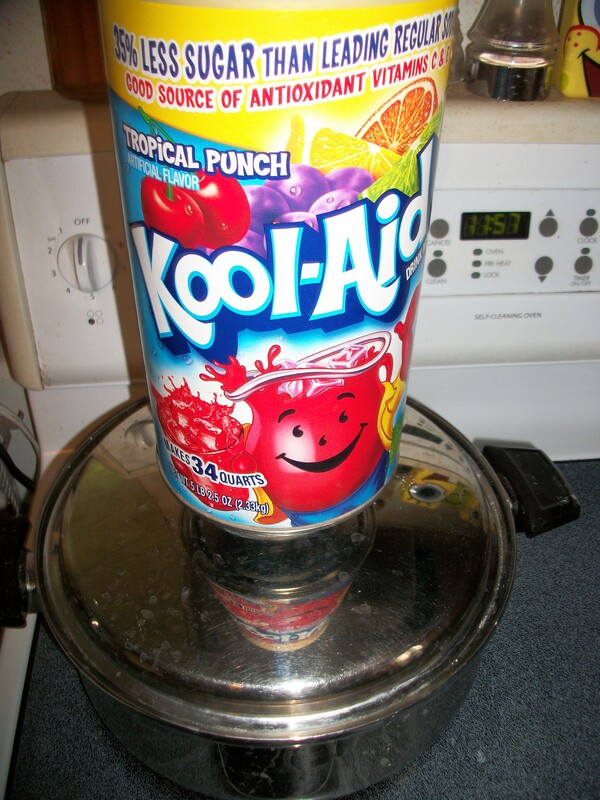 If your lid isn't heavy enough to make sure there's a seal, set something heavy on top of the lid! Be creative! Why is this important? 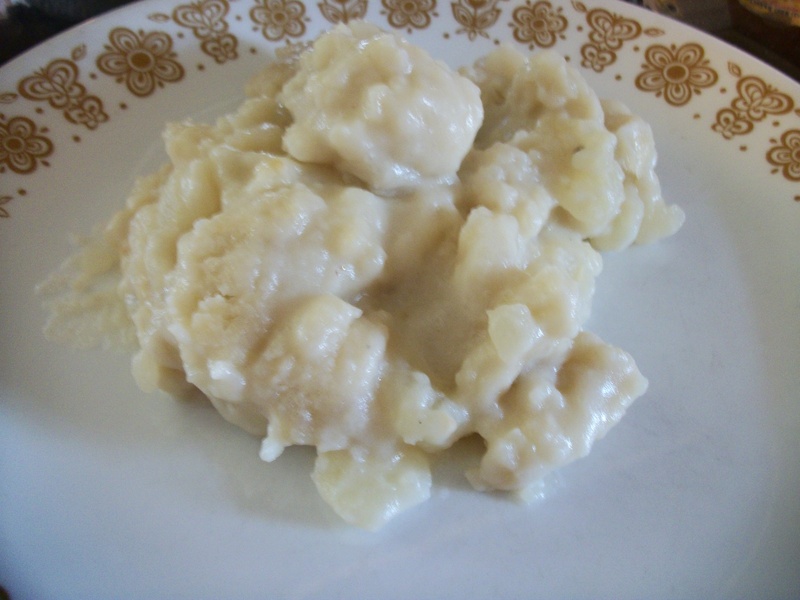 The steam from the potatoes and water is cooking the dumplings. 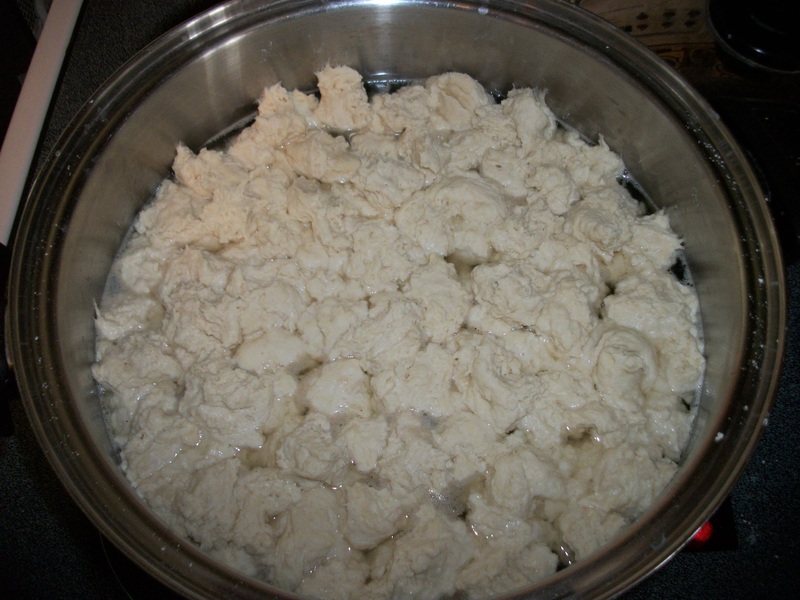 If the liquid in the kettle evaporates too quickly, your dough will fall and will be more solid, than light and fluffy. (Grandma would call them “klutzy” when that would happen.) Once you can hear the potatoes boiling again, turn the temp down a bit and simmer. Cook for 30-45 minutes or until the “dumplings start talking to you.” (Grandma’s terms) In cooking terms, this means to listen to the kettle and the dumplings are done when you can hear them starting to fry a little bit. 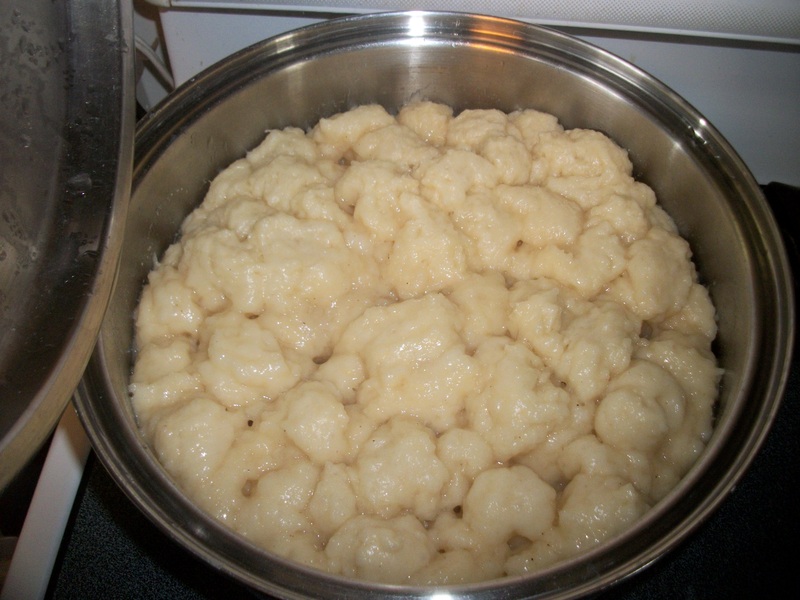 Next, stir up the dumplings, mixing the dough, the potatoes and whatever liquid is left. 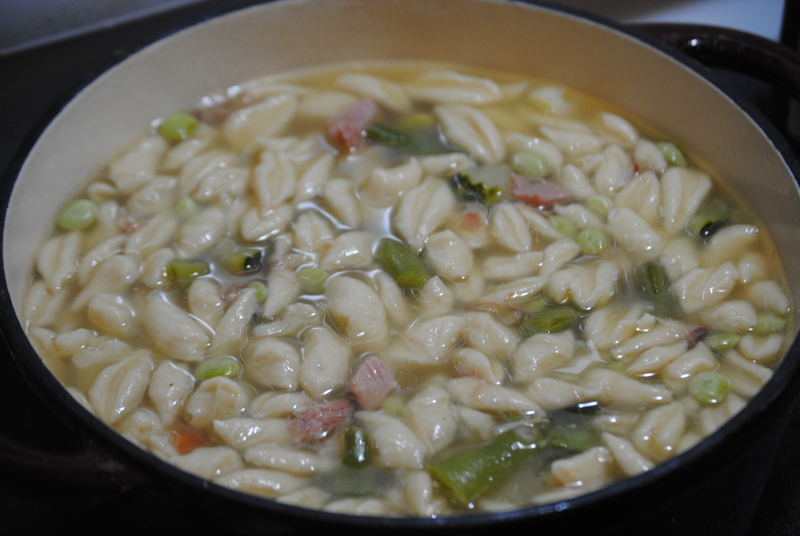 Then pour the cream on top of the dumplings and stir. 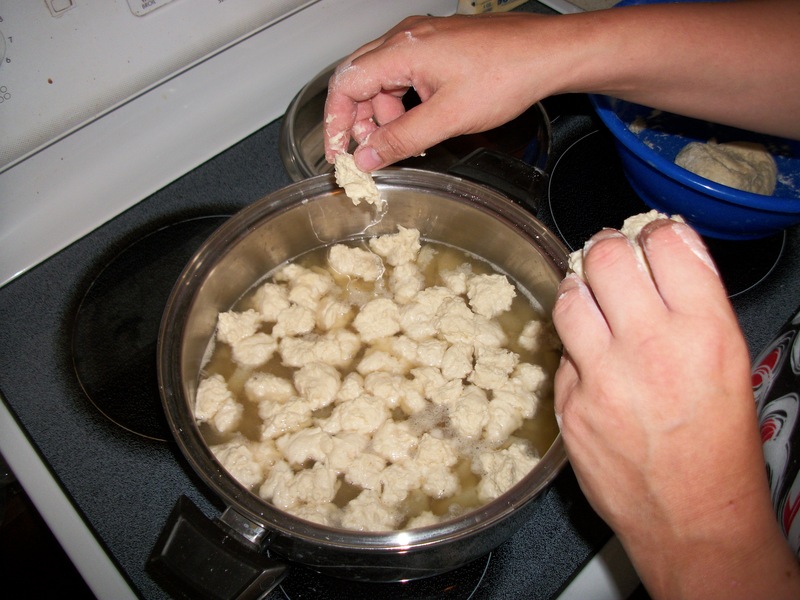 Add cream to the finished dumplings. And finished product, all mixed up...yum! Grandma would normally serve this with chicken, but it goes well with any protein item of your choice: beef, lamb, pork, etc. (Not sure it would go well with fish, but go ahead and try! Life is made for rules to be broken, right???) With this particular meal, my sister and I ate these dumplings all by themselves. Just because we could. 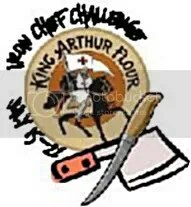 King Arthur did provide me with flour to use for this recipe contest however the opinions listed here are my own.